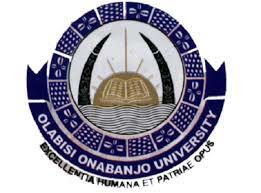 Olabisi Onabanjo University (OOU) Postgraduate School Approved and Accredited List of Postgraduate Diploma, Masters, Doctors of Philosophy Degree Courses for 2019/2020 Academic Session. Authorities of the Olabisi Onabanjo University (OOU), Ago Iwoye has advertised the following postgraduate programmes for the 2019/2020 academic session admission exercise. Recommended: How to Apply for OOU Postgraduate Admission 2019/2020.